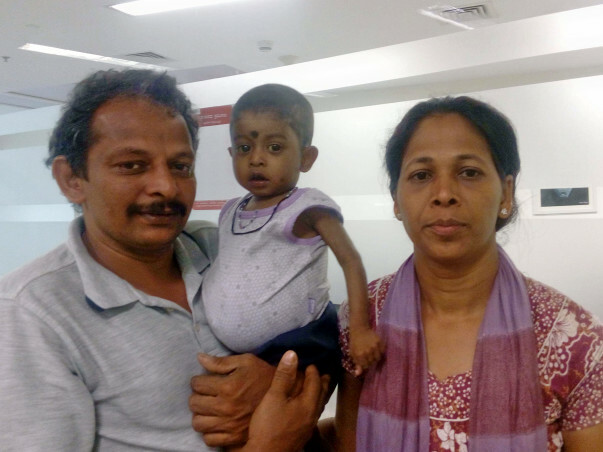 Girish is a 1-year-old baby who urgently needs a liver transplant to beat chronic liver disease and Caroli's disease. With a transplant, he can get better and grow up to be a healthy, happy child. 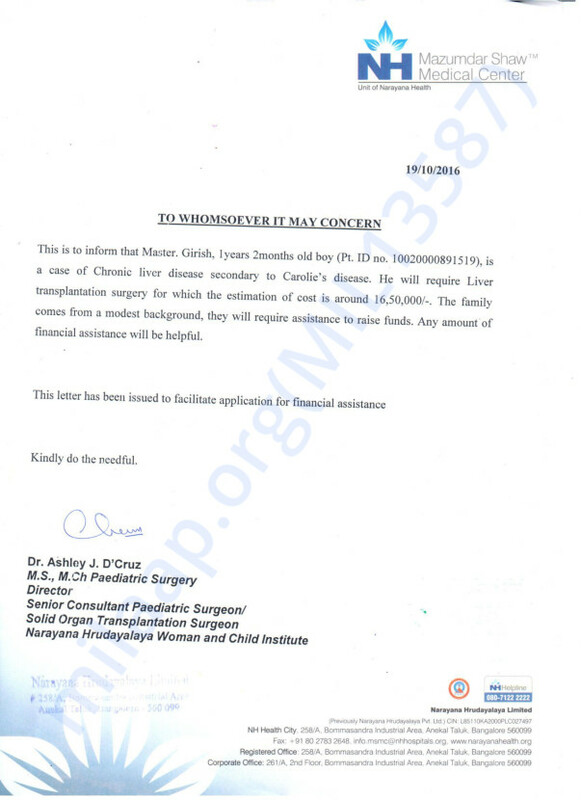 His father, Nityanand makes only Rs 10,000 per month as a cook in a local mess and needs help financing the transplant. Baby Girish's older brother Yatin – who is just 5-years-old – was thrilled when his brother was born. He had told his parents he wanted a brother to play with. A year later, Yatin is very protective about Girish. He is scared his baby brother's stomach will burst because it is swollen. He is waiting for the operation that will 'open his brother's stomach' and make him better again. Nityanand has tried working in restaurants in the hopes of getting better pay. He even moved from his village in Hiriyadka to a bigger town, but found it more expensive. “We tried to raise some money, but nothing we do can help us collect the full amount needed for transplant,” Meera explains. The family needs Rs 16.5 lakhs for Girish's treatment. For them, collecting this much money seems unachievable. Friends and family have come forward and helped them but that help is also limited. Thank you all for the tremendous support. Girish is feeling fine now. His transplant was successful. Few medical checkups are to be followed. Will keep you informed.